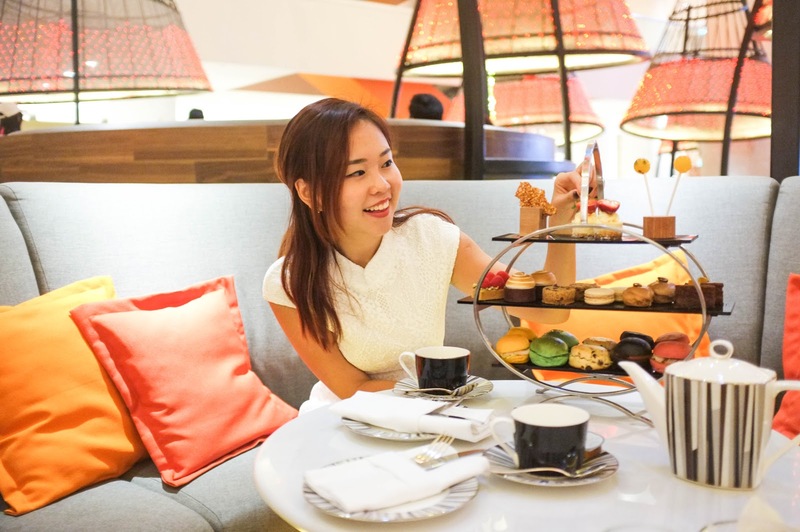 Previously, I reviewed the Afternoon Tea Session newly introduced at Pan Pacific Singapore. 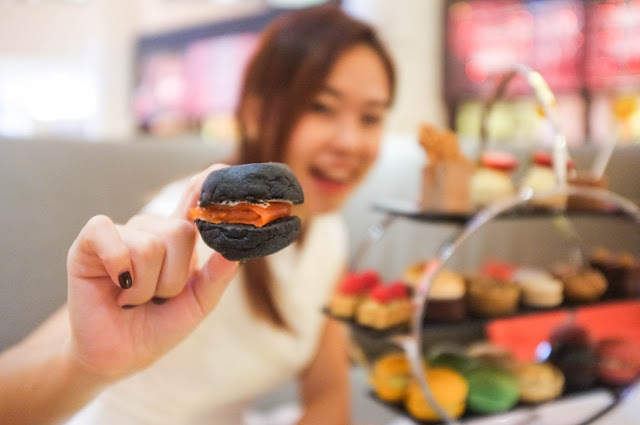 The Peranakan Afternoon Tea Sets was terrific for kueh lovers, but if you aren't that much of a fan, perhaps the good old English Afternoon Tea Sets would be perfect for you! The English Afternoon Tea Menu is presented to diners in an elegant three-tier stand, offering an array of patisserie, both sweet and savoury. It also comes with Dark Raisin Scone! Ask for our favourite? Definitely the unique Turmeric Bun with smoked turkey. 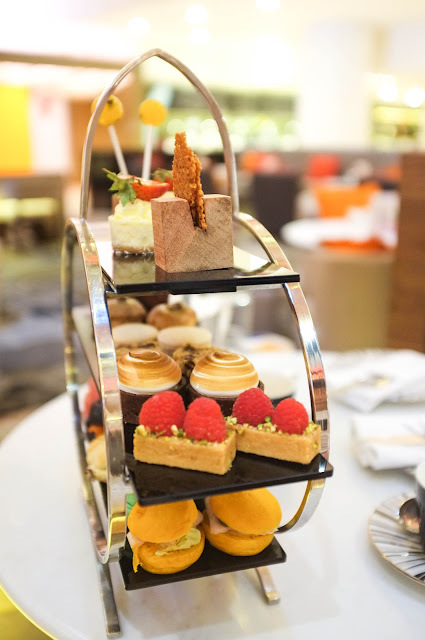 Savoury buns aside, be treated to delicate english desserts and pastries like Lemon Meringue Tart and Fresh Berry Tart, some of our favourites among the array of selections. The lemon meringue tart has a good blend of citrus from the lemon curd and sweetness from the meringue. The tart was easy to melt in the mouth too. Did you also spot their Homemade Lollipop? Quite an interesting item in the menu! 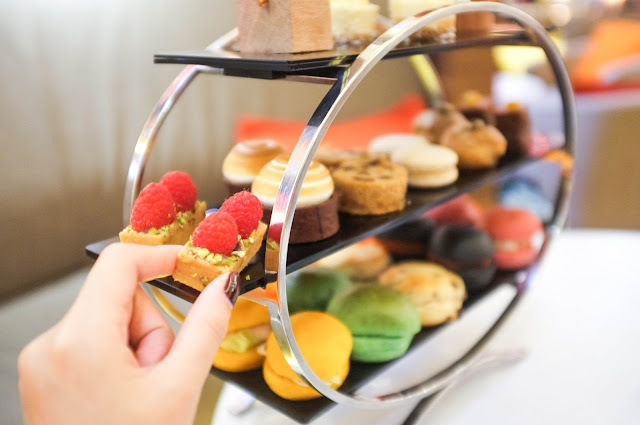 Not only are the pastries beautifully displayed in this three-tier stand, some of them itself are already so photogenic. Feels that they're too lovely to be devoured! At only S$38, each tea sets also come with coffee and tea. This is the perfect avenue to chill out with your friends and loved ones for a simple cozy gathering. 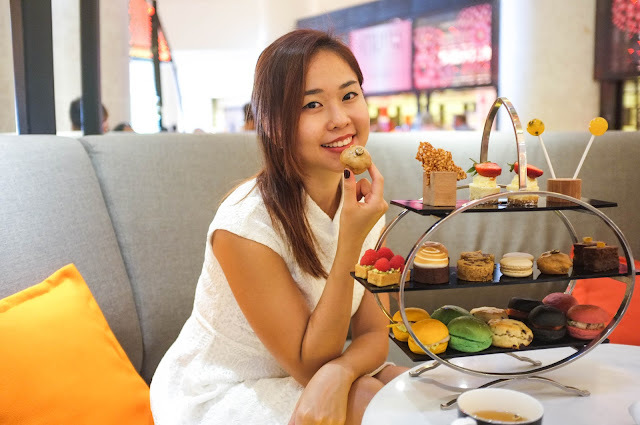 If you are a definite sweet tooth, opt for the English Afternoon Tea Menu because you get to try out so many pastries at one go, at an affordable price. 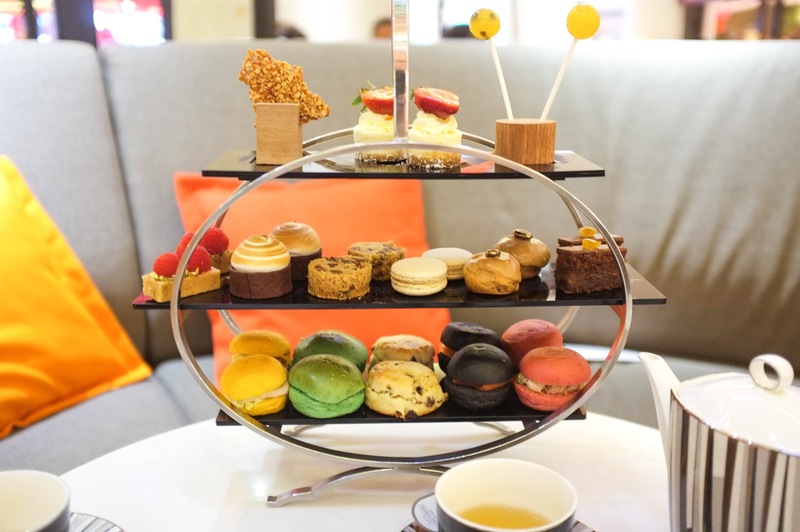 Rest assure that the pastries offered for one pax is more than enough. 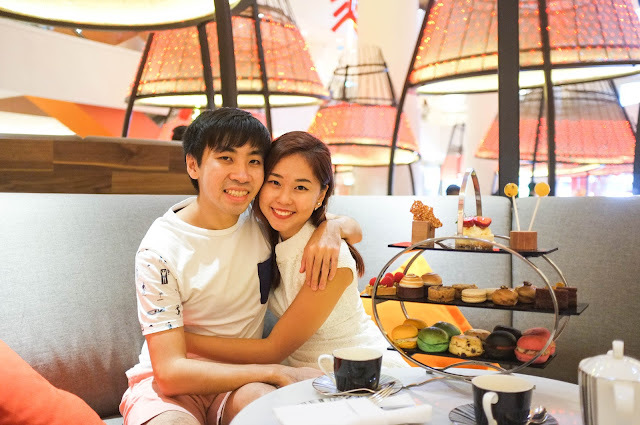 Like I said, Pan Pacific Singapore Afternoon Tea Sets are indeed lovely to have with your loved ones! Huge thanks to Pan Pacific Singapore for hosting us! 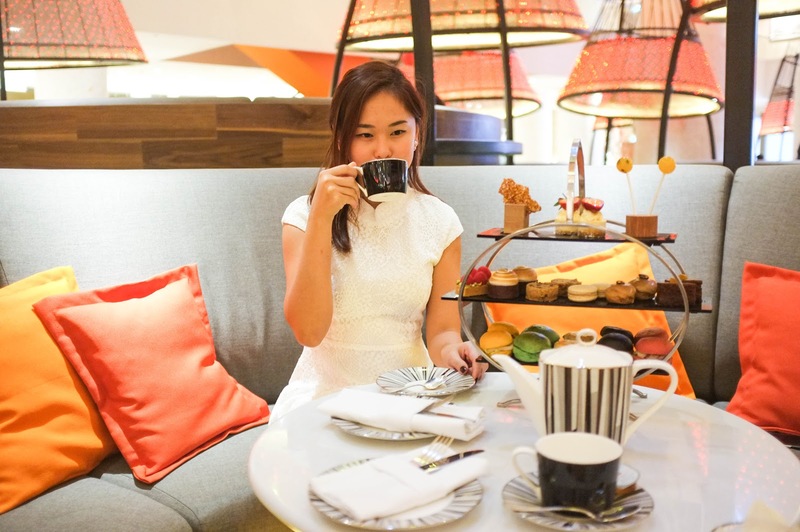 We love your afternoon tea session!